Universal oil for furniture and interior finishing. The processing-friendly, quick drying Legno-Öl is suitable for all surfaces made of softwoods and hardwoods used indoors. It penetrates deep into the surface, has a water-repellent effect and emphasises the natural texture of the wood by a very good grain accentuation. Liquids and dirt can be easily wiped off. Wood surfaces treated with Legno-Öl are slip resistant and anti-static. 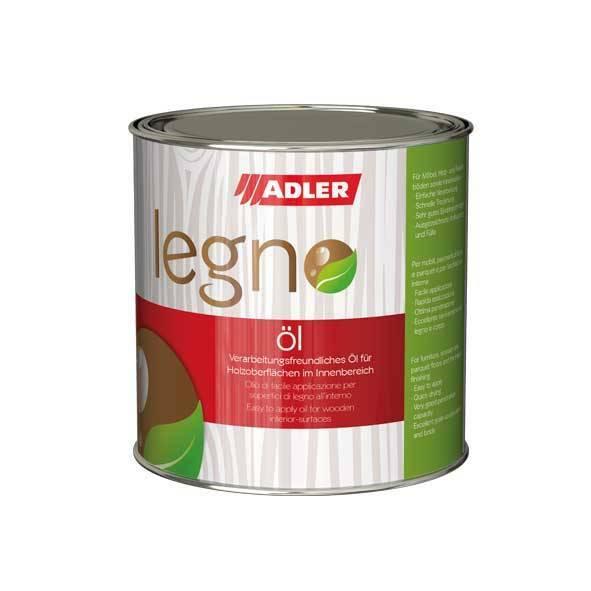 Legno-Öl is odourless and not self-igniting. For optimal protection, apply Legno-Öl twice. Recommended number of paint coats 1. Please also see the technical data sheets! Furniture in residential premises, interior finishing (wooden boards, ceilings, etc.) wooden and parquet floorings. Apply a maximum of one thin coat of this product to the inner surfaces of furniture and cabinets on account of possible odours.